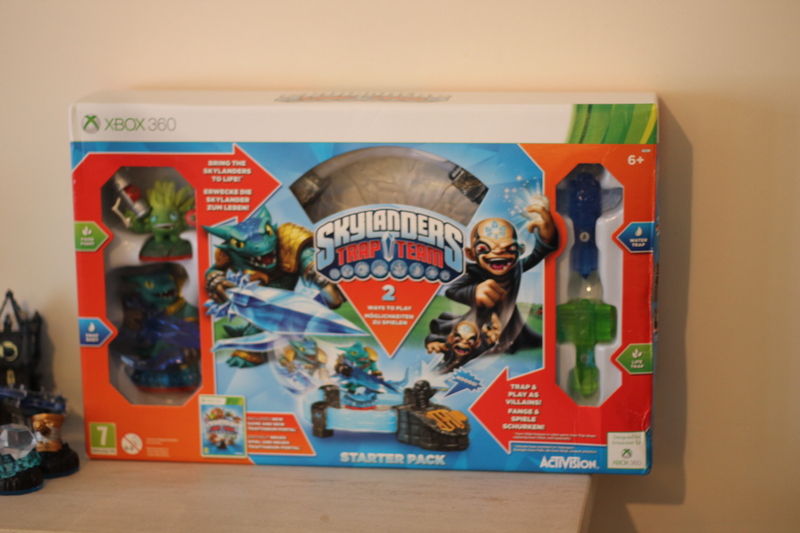 Since we were first introduced to Skylanders through the Skylanders Swap Force game, the boys have all become big Skylanders fans and have been eagerly awaiting the new Skylanders Trap Team game. 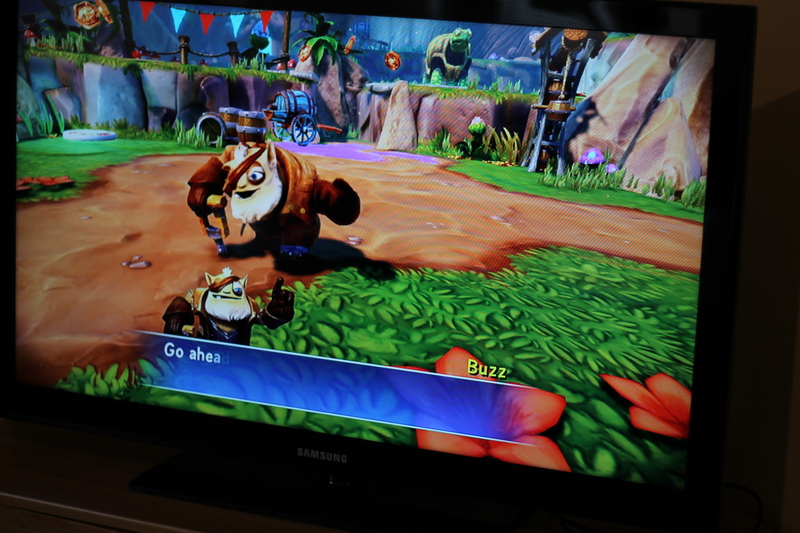 We had our first look at this in the Skylanders tent at LolliBop and the boys had all been talking about the game ever since, with Mr Z counting down exactly when it was going to be released! Skylanders Trap Team is the next episode in the Skylanders story and has a great twist to the game where you can trap the villains and then play as them, using them to help you. There is a special new portal with a keyhole in it to allow players to use their traps and you must get specific traps for each element like a water trap, magic trap, life trap and so on – which my boys are already keenly collecting. The backstory to Trap Team is that Kaos had found out a way to break into Cloud Cracker prison, and has broken out all the baddies to help with his ultimate aim of taking over the Skylands. All of these prisoners had been trapped behind extremely powerful traptanium but somehow Kaos managed to infiltrate this, and now the Skylanders must come to the rescue to trap these villains and restore order back to the Skylands again. Here you can see one of the Villians being captured in the life trap while Mr Z was playing the game. We have the game on XBox 360 but it is also available on Nintendo Wii U, Playstation and also now on iPad too! 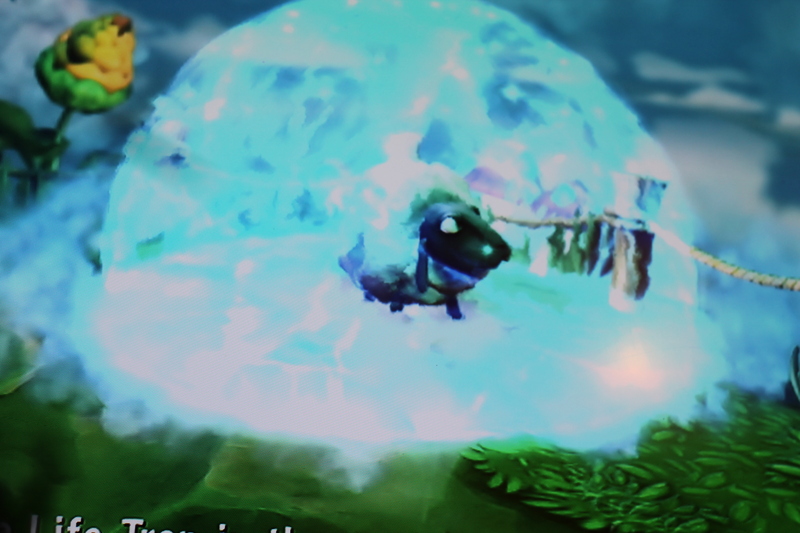 The game is suitable for children of about 6years and up. Mr Z is able to play easily, and although his younger brothers haven’t got the hang of the game fully they still have become really interested in the characters and love to play with the Skylanders figures as well as running around the house pretending to be Skylanders! It’s nice that they can all get involved with it, and they use the game to fuel their imaginary play outside of the screen time too. Here you can see Mr Z and Mr T playing together at one of the Skylanders Trap Team launch events. We had a great day out at the launch and it was lots of fun for the children to play the game and to be in the Skylanders environment with everything decorated and they loved the Kaos balloons too. 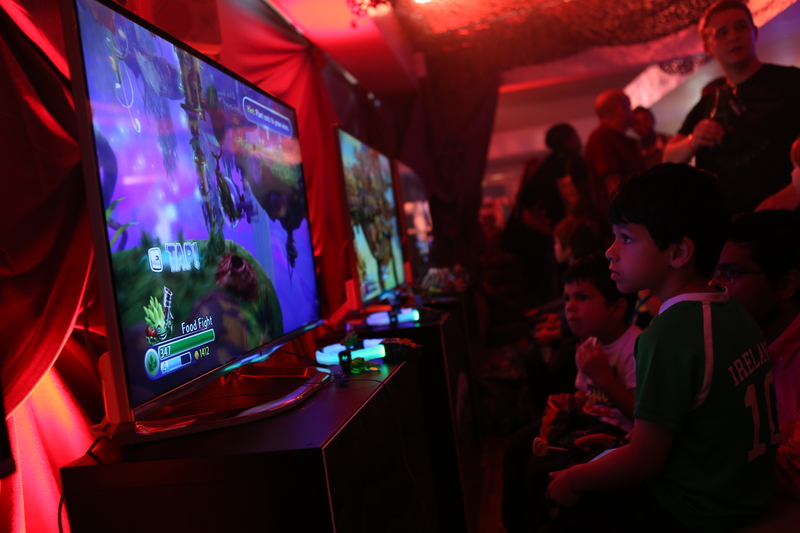 Skylanders is something that has really gripped all of the boys and grabbed their attention. Since we first got started with the game, they always choose to have Skylanders figures on their birthday or special occasions and are really building up their collection. I was happy to see that the Swap Force figures that we already had do actually work on the Trap Team game too! We were not sure if they would be compatible, but luckily they were which is really great since they have spent time building up the collection. If you have a Skylanders fan already, then they would definitely enjoy Trap Team as the next instalment of the game. If your child has not yet tried Skylanders but you are thinking of introducing them to some form of console gaming then Skylanders is a really good place to start. It’s quite a tame and non violent game with lots of imagination, and the ability to collect the physical characters and the cards offers a good mixture between being a screen based and non screen based activity.